If you’re interested in getting some quick and accurate info on the Chinese Education System from the vantage point of a professional tutoring expert (with years of experience of teaching inside the various school districts of the People’s Republic), then this compiled post is made for you. As an ESL tutoring expert with over 10 years of collective teaching experience inside the U.S and elsewhere, I have to confess that a recent lengthy engagement with the Chinese Education System (and the industrious pupils who form it) left something of an impression on my mind. I attribute this psychological impact to the paradoxical mix of commonalities and differences I came to notice after becoming professionally immersed in the ‘goings on’ of the system, which presently constitutes the largest education-dispensing human organizational effort in the world – and whose day-to-day operational dynamics can provide a number of instructive lessons for us westerners to seek some orderly structural inspiration from. Chinese students are taught to think linearly, through a rigorous and competitive examinations methodology implemented from Primary School through to the Senior Secondary School levels. Getting the right answer, using set inductive/deductive modes of reasoning, is encouraged – while creative thinking (which naturally entails a measure of correct ‘hits and misses’, and the deployment of innovative mental strategies to arrive at rationally appealing conclusions) is normally given little didactic importance inside classroom settings. Academic curriculums, based on this understanding, are enforced through meticulously crafted ‘learning-objective’ guides communicated from local (county) educational administrators at the primary school phase (that caters to the 6-12 years age grouping), while provincial-level Ministry of Education officials generally assert their own additional takes at the secondary (ages 12 – 18) and tertiary (ages 18-27) schooling levels. Classes on ‘Ideology and Morality’ (which can easily be construed as biased and discourse-setting in what is expounded within them by western audiences) are regularly taught during middle school. Chinese education emphasizes the value of scholastic accomplishments tethered with traditional values – with this positive legacy reflected both in the way that students generally behave with their teachers inside classrooms, and how the bulk of the population chooses to engage with others socially. With this said, here are the 10 Things that I think you should know about the Chinese Education System. This information will not only prove to be useful for when you’re thinking about applying for a teaching position inside China or considering to enroll your expat child in a particular Chinese school; but even when you (in some official capacity) may be tasked with preparing a presentation on the subject. 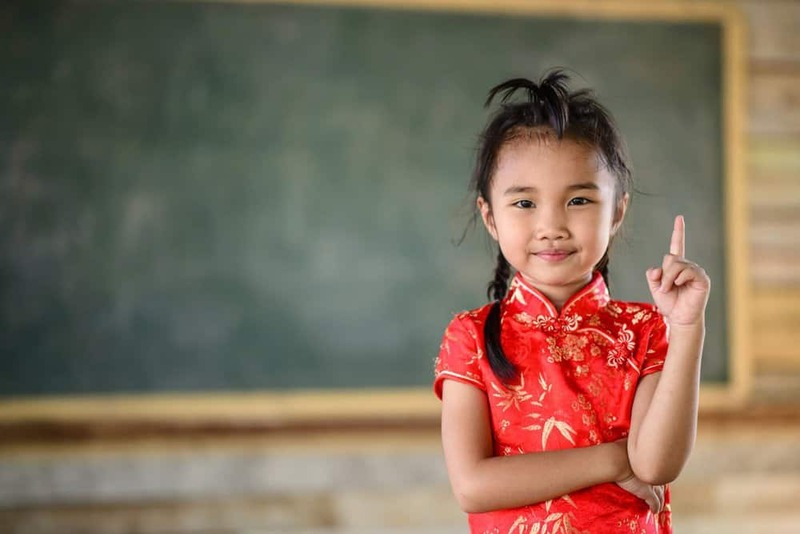 All Chinese students are mandated by national law (enforced by the central and provincial governments) to complete at least 9 years of basic education. This entails spending up to 6 years in Primary School, where the age requirement for entering the first grade is normally between six to seven years. Up till the age of 12, children learn a variety of different subjects, with over 60% of the teaching-time allocated to making them proficient in the subjects of Math and Chinese Language. Some primary school establishments start to provide foreign language instruction to senior students almost due to graduate to the Junior (Lower) Secondary School level (called Chuzhong); where they remain for a further period of 3 years. With the legal fulfillment of nine years of education, students are given the option of either enrolling in a general Senior (Higher) Secondary School program (called Gaozhong), a corresponding Vocational School Program (Zhongzhuan), or entering the workforce directly. Gaining acceptance into senior secondary schooling institutes requires the clearance of a set of examinations called Zhongkao, which are designed and graded by provincial educational authorities. The scores attained on these tests make way for placements into different high school establishments, which may or may not accord with the desires of students. This facet of Chinese education largely falls in contrast to the typical western (particularly American) scholastic route, where all students, irrespective of their test scores, are allowed to continue onwards with high school education on their own terms. As someone born, raised and professionally employed in the American educational system, coming face-to-face with this facet of Chinese education required a short initial period of personal adjustment. I had always thought that the requirement for students to rotate from one subject-teacher to another instilled a certain sense of school decorum and respect within them, but my subsequent exposure to the Chinese English learners who I was officially tasked with only served to dispel this belief. In Chinese schools, students remain sitting for several hours on end within their allotted classroom spaces, while their tutors come to them. And as it normally turns out, this arrangement works quite well for all the parties concerned – in the usually polite academic exchanges that ensue. Through their Primary and Junior Secondary School tenures, Chinese students are not usually offered any elective courses; unlike their counterparts in the American schooling system who get to make choices between such subjects as Biology and Chemistry, as they near the high school stage. Elective choices are formally offered once the students make their way into the Senior Secondary School level. Chinese schools, in addition to making their students stay in class for longer periods of time than most Western schools, also usually afford them with longer recess breaks. In some rural and urban school locations, these can go on for more than 2 hours on occasion; equipping learners with the time needed to destress sufficiently and engage in relaxing physical pursuits with their peers. These lengthy preludes to the commencement of the next classroom cycle also provide some much-need pause time to exhausted teachers. In Chinese schooling establishments, it is quite usual for tutors (particularly during the Middle School years) to conduct regular evening class sessions for their students’ benefit. These can either be remedial classes, which focus on the exact syllabus content taught during the day in school; or informational undertakings designed to enhance students’ conceptual understandings pertaining to relevant subject topics. This dynamic is different from the one normally observed in American schools, where longer study hours are usually reserved only for the high school phase (when the 8am to 3pm school timing oftentimes becomes commonplace in most institutions). In the U.S, high school graduates applying for college are usually scrutinized for how well they rank against an eclectic mix of performance metrics – ranging from SAT scores, extra-curricular activities count, community volunteer experiences, and so forth. In China, however, students who make it through the intense Senior Secondary School phase have to appear for the difficult, 9-hour long National College Entrance Examination (NCEE) – also referred to as Gaokao in the local parlance. This test is administered on the same date nationwide; usually on the 7th of June. The Gaokao, in addition to classifying students on a variety of discipline proficiencies, also tests them on Literature, Mathematics and Foreign Language (predominantly English) competence on a compulsory basis. Chinese students are commonly subjected to a great deal of studying and societal pressure when they happen to be in the process of appearing for these exams, as their scored outcome generally decides which institutions of higher education they later end up gaining admission in. Instances of cheating, as a result, are not uncommon during examination cycles; because of which the government has even had to resort to drone surveillance use in recent times to keep a check on candidates. Chinese higher education institutions require their applicants, who have successfully fulfilled all their Gaokao exam and college entrance requirements, to declare their major degree orientations before commencing with their regular classes. They usually need to choose between the broad categories of a future advanced academic career in the Sciences or the Humanities. In most western universities, on the other hand (and particularly those of the more liberal-leaning bent), students can opt to remain ‘undecided’ about their majors even after finishing their sophomore and junior years. Just like the U.S, the Chinese education system has its own set of top-tier tertiary education institutions which prove to be extremely competitive to get into for the bulk of the country’s student applicants. Tsinghua University (in Beijing), Peking University (Beijing), and Fudan University (Shanghai) are some notable examples. In China, it is not uncommon for young learners enrolled in the first three grades of Primary school to be taught the fundamentals of algebra; and encouraged to tackle tough math problems on a priority basis. This practice, while it does end up putting some added pressure on young, developing minds, also inculcates students with a more analytical approach to addressing social phenomena early on in life – who thereafter score demonstrably well in stats and calculations-based subjects than their western school counterparts. Stephen Mills is a certified ESL trainer and TDS Internet affiliate with lengthy experience of tutoring non-native English speakers, both in the U.S and abroad.